Michael Gove’s speech started the BETT Show 2014 at Excel in East London. BETT in it’s 30th year was busy not just with UK schools but many international delegations. The Education Minister mentioned three key words in his speech which give resonance to what we do at Webanywhere. Michael Gove in his speech mentioned open source software and flexible technology that stretches learning outcomes. Our commitment to Moodle the world’s number one open source learning platform is most certainly a positive with the Cabinet Office and Francis Maude recognising the need for free open source software to reduce government spending on IT. Webanywhere’s core business value is to be flexible so again the need for flexible IT is in parallel with many of our software product roadmaps. Our tag line is stretch beyond and stretching learning outcomes is one way in which we judge whether our software deployments are a success. I was very proud to launch the latest version of our market leading software School Jotter at BETT. Two additional apps have been launched within the platform including School Merits and Jotter Learn. School Merits is an online reward system and is particularly useful in evidencing how schools utilise their pupil premium budgets. The Jotter Learn application allows teachers to create compelling learning sites within School Jotter. Learning sites can be edited and created in a similar way to your school website but with a different set of widgets designed specifically for digital online learning. 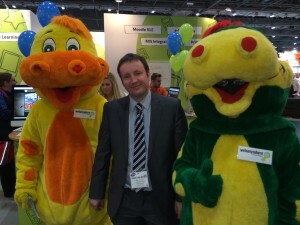 In some ways I don’t like the great expense and cost to both schools and business of the BETT Show. On the other hand it’s great for team building and a celebration of UK innovation in education with a worldwide audience. BETT 2014 was an open source, flexible and a stretching experience and long may it continue. See you at BETT next year. This entry was posted in BETT, Moodle, School Jotter, Sean Gilligan, stretch beyond, Uncategorized, Webanywhere on January 26, 2014 by Sean Gilligan. Here is a snippet from my recent talk at the Holy Family School Enterprise Day. A visit to my old school is always inspiring, and a great chance share entrepreneurial tips with the business owners of tomorrow. In this extract I share my experience as a late blooming Primary school pupil, discovering the infinite possibilities presented by the computer, and working my way from the bottom to the top of class with good old fashioned hard work! I also cover how I got started in web design and online technology, and the story behind the founding of Webanywhere – and how it has grown from my bedroom to an international business. It is my hope that I can pass on what I have learned on this journey to the next generation, for whom entrepreneurial acumen is more essential than ever. This entry was posted in entrepreneur, keighley, Sean Gilligan, Video, Webanywhere on July 11, 2013 by Webanywhere. I would like to share with you a video I filmed recently for Invest in Bradford, an organisation that we are proud to work with as a fast growing business in our local community. 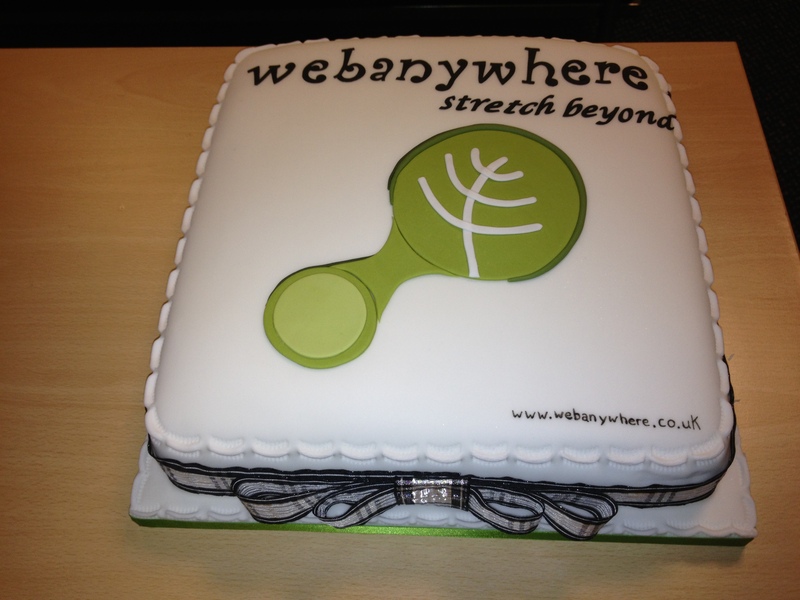 Here I outline some of the reasons for Webanywhere’s growth, and the role of local community community support in that growth. From organisations such as Invest in Bradford and The Bradford University School of Management to individuals such as Tony Reeves, CEO of Bradford Council, and local MP Chris Hopkins, Webanywhere has benefited tremendously from the energy, resources and knowledge contained within our local area, and are proud to repay that support by creating high value jobs and opportunities. As I mention in the video, we are fast approaching our 10th Anniversary – watch out for upcoming announcements on our birthday celebrations! This entry was posted in Bradford Council, Bradford School of Management, Community, jobs, keighley, Sean Gilligan, Video, Webanywhere and tagged Invest in Yorkshire, video on April 26, 2013 by Webanywhere. 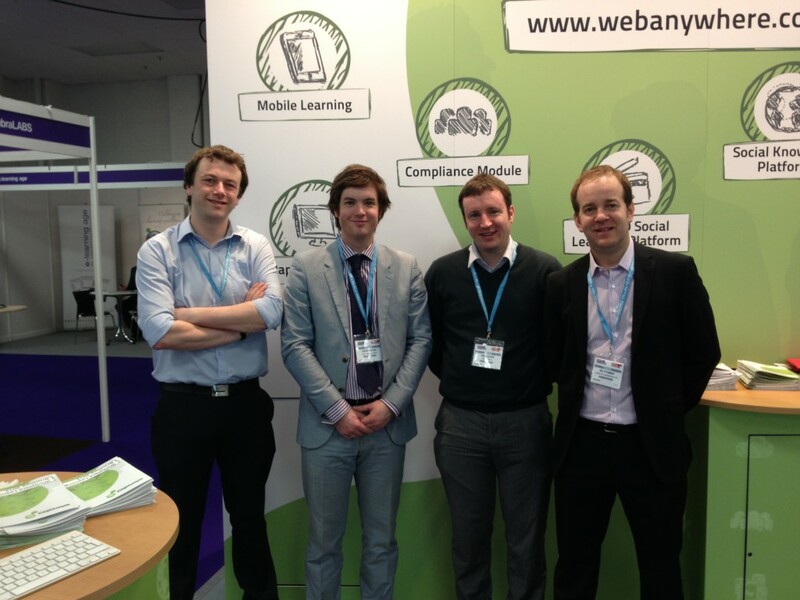 Webanywhere are taking up residence in London this week as we show off the latest in education and workplace learning technology at BETT 2013 and The Learning Technologies Exhibition. My colleagues in Workplace Learning and I kicked off proceedings this morning at Learning Technologies, with a rush of visitors to our stand (122 – come and visit us tomorrow if you get the chance, it’s well worth a visit!). As well as getting a chance to talk face-to-face with workplace learning professionals, and promoting new offerings (such as the Compliance Module for Moodle, and a groundbreaking social video platform for training) we are also hosting our partner The British Safety Council on the stand, as they promote their great range of health and safety e-learning courses. A big highlight at the show tomorrow is the joint Webanywhere-Google seminar – Stretch your organisation further with Google Apps for Enterprise – not to be missed. 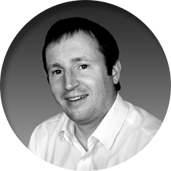 …as well as the chance to talk to our e-learning consultants, who I can proudly say are the best in the business. This entry was posted in BETT, conference, events, Google, learnanywhere, Learner Journey, Learning Technologies, Moodle, School Jotter 2, spellanywhere, Totara, Webanywhere, Workplace Learning and tagged BETT, Learning Technologies on January 29, 2013 by Sean Gilligan.